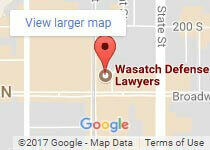 Craig R. Chlarson is known as one of the most aggressive and highly skilled criminal defense attorneys in Utah. Meet with him today … prepare an aggressive defense … and fight back! Jeanne T. Campbell, Attorney at Law has a mission to provide affordable, qualified legal representation and protect the integrity of the criminal justice system. Meet with her today!